Relieve your tough pain and reduce fever with MOTRIN® IB. It contains ibuprofen – an ingredient that provides powerful pain relief. Well ladies, if aunt flow visits on the regular, and you get those real tense and deep penetrating cramps, Motrin is for you, its my best friend, it helps make me not notice the symptoms that aunt flow brings, id definitely suggest this product to anyone! i love it! Motrin has been a go-to product for years in my family. It relieves those aches and pains I gain through everyday life. I must say, it has helped me and I recommend it. Even helps with my teeth pains. 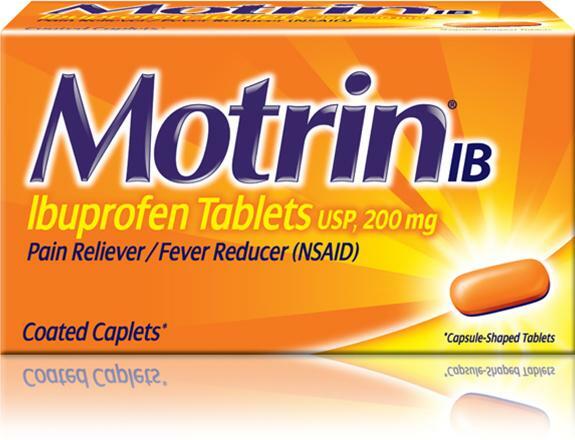 MOTRIN IB caplets are the ones I trust to relieve my more severe aches and pains. They are dependable and fast acting. this has been around for a while. Takes care of your aches and pins as well as fevers .